The Texas Rangers (36-36) took games two and four to earn a series split against the Toronto Blue Jays (35-37). The Blue Jays are winning the season series 4-3. Left fielder Nomar Mazara started the scoring for game one in the bottom of the first inning with a solo home run, his ninth of the season. 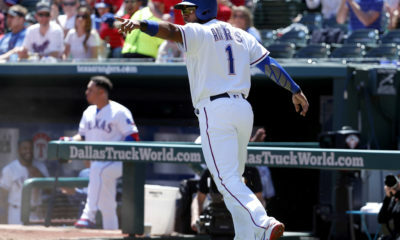 Then the Rangers would finish its scoring for the night with a two out rally in the bottom of the fourth with Rangers’ shortstop Elvis Andrus hitting a two-run single and third basemen Adrian Beltre hitting a bases-clearing double. 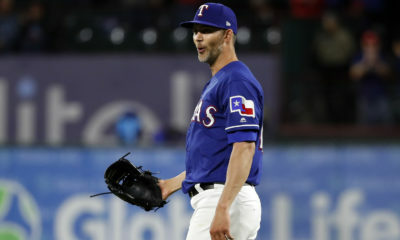 Starting pitcher Austin Bibens-Dirkx, who made his MLB debut on May 17, gave the Rangers five innings pitched while striking out five, walking one and allowing five earned runs. After Bibens-Dirkx’s departure, the Rangers’ bullpen kept the lead with three holds and looked to take game one until closer Matt Bush gave up two runs to earn his third blown save. The Blue Jays won 7-6. The Rangers took charge with a four-run 1st inning. The four-run rally consisted of a Beltre RBI ground out, and then center fielder Carlos Gomez hit a solo home run, his seventh of the season. The rally continued with catcher Jonathan Lucroy hitting an RBI Double, his 12th of the season, and finished with first basemen Mike Napoli hitting a RBI single. The rest of the Rangers’ offense in game two come from two solo home runs, Maraza’s 10th of the season in the fifth and Beltre’s second in the eigth. 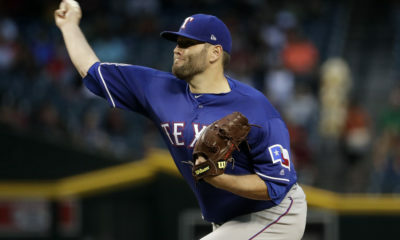 Starting pitcher Nick Martinez gave the Ranger’s a quality start, which consisted of 6.1 innings pitched, two strike outs, three walks and one earned run allowed. Four relief pitchers were able to finish off the game without giving up a run to win 6-1 and give Martinez his second win. The Rangers’ had a big deficit to overcome and started its attempt with Shin-Soo Choo hitting a two-run home run, his 11th of the season, in the third. Third basemen Joey Gallo hit his first career inside-the-park home run, his 19th home run of the season, in the fifth. Center fielder Delino DeShields capped off the Rangers’ offense in game three with a two-run single in the sixth. Starting pitcher Tyson Ross had a tough game, which included him only going three innings and giving up seven runs. Four Rangers’ relievers again finished the game without giving up a run but it was not enough for the Rangers to finish a comeback as the Blue Jays won 7-5. The Rangers scored first in game four with Beltre hitting a RBI double, his sixth, in the first inning. First basemen Mike Napoli followed up with a two-run home run, his 14th, in the second. 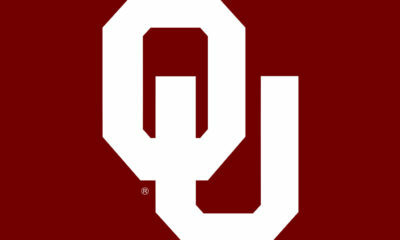 Gomez continued Thursday’s slugfest with a three-run home run, his eighth, in the third. Catcher Robinson Chirinos joined in with a solo home run, his ninth, in the fourth. 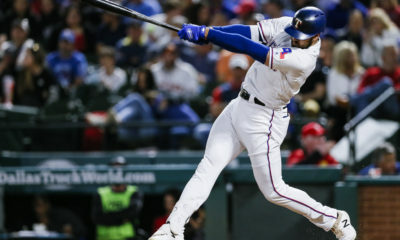 Then after cooling down for two innings, the Rangers’ offense continued power surge with Gomez hitting his second home run of the game, his ninth of the season, in the seventh. Andrus scored Chirinos with a fielder’s choice and Beltre hit a sacrifice fly in the eighth. 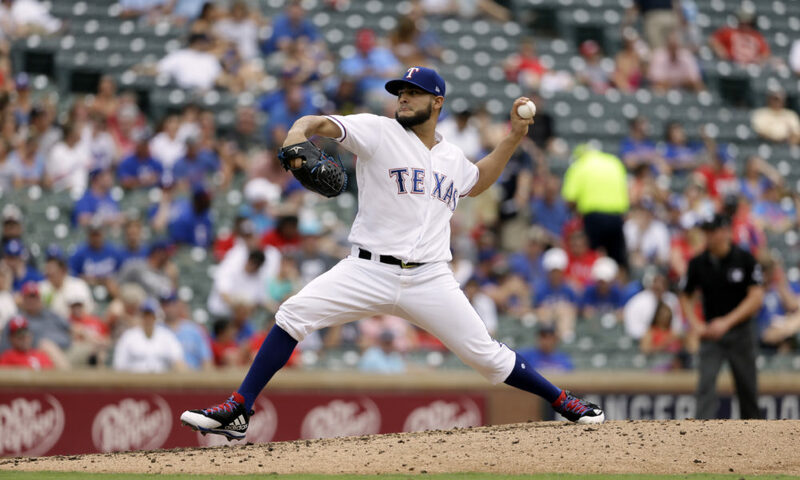 Starting pitcher Martin Perez pitched six innings while walking two, striking out three and giving up three earned runs to earn his fourth win and the bullpen pitched three scoreless innings. The Rangers won 11-4. This four game series concluded a seven game homestand; the Rangers will travel to the Bronx to face the New York Yankees (39-30) for a three game weekend series.